Is Nokia's tweet a revealing pun, or just poorly worded? With the launch of the first Windows Phone 8 device (devices?) likely right around the corner, execs at Nokia must be biting their nails down to the stumps of their fingers. After all, the Finnish phone maker is on the brink here, and as its CEO has said himself, Windows Phone 8 is "an important catalyst" for the Lumia line of smartphones. Chris Weber, Nokia's executive VP of sales and marketing, has discovered that one way to let off some of that steam is to taunt competitors over Twitter. "Samsung take note, next generation Lumia coming soon," Weber tweeted on Thursday, with the hashtag "lumia." The tweet shows either desperation or confidence in whatever Nokia's about to unveil, but is there a hidden message in there as well? Intentionally or not, Weber's tweet has started the rumor mill churning, and speculation is running rampant over what the Nokia VP could be hinting at. Does his conspicuous use of the word "note" indicate that Nokia is getting ready to unveil a direct competitor to the Samsung Galaxy Note? "I can't see how it is not a reference to a Nokia phablet," writes one commenter on The Verge's article, referring to a device that's half phone and half tablet, like the Galaxy Note. "Lumia Phablet?" writes My Nokia Blog. "Erm yes please." TechRadar has reached out to Nokia to find out whether there's really some underlying meaning to Weber's "note," though the company traditionally doesn't comment on speculation. 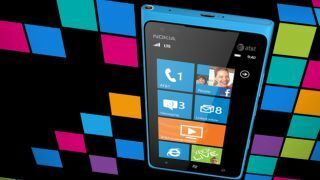 With so much interest in a Nokia Lumia device that would rival the Galaxy Note in size, it may be that Nokia is finally on the rise. Response on Twitter to Weber's jab has been positive as well. "So you are going to convince me to go @nokia again then? I hope you do!" tweeted South African Eshwar Andhavarapu. "I want to be convinced!" Pennsylvania resident Josh Stine tweeted, "Put it on @VerizonWireless and I'll sell my Nexus," to which Weber replied, "Your feedback received and appreciated." It hasn't been all positive - one tweeter wrote, "Lumia was dead before existing," while another pointed out that Samsung's Galaxy Note 2 is on its way as well (and with a bigger screen). Still, depending on what's unveiled on Sept. 5, Nokia could be poised to climb back to the top of the smartphone market - at least Weber seems to think so.